Experiences from Geely cars’ Swedish innovation hub CEVT. How do you stay competitive and unique during accelerating change in a hyper competitive environment? How does a Swedish organization relate and adopt to Chinese innovation culture? How does one organize to stand up to extreme rates of innovation? We are pleased to welcome you to an evening seminar, arranged by Innovation 360 Group and Geely cars’ innovation company CEVT (China Europe Vehicle Technology). We share our insights about how to lead structured innovation processes at high speed while delivering exceptional results. What tools and strategies work in an unpredictable hyper competitive situation? Mikael Rönnholm, Head of Innovation Strategy from CEVT, describes how to conduct innovation and business renewal in a world where the rate of change is ever accelerating. In his talk he describes the challenges when slow-moving classical industry meets rapid moving digital development. CEVT is the innovation center for Geely cars. The center has the ambition to become a world leading innovation and research center with focus on developing mobility solutions for a different tomorrow. CEVT develops solutions for Geely car’s brands Lotus, Lynk&Co, Terrafugia and Volvo Cars. We are situated on Olof Palmes Gata 13, closest subway is Hötorget and exit “Olof Palmes Gata”. Ring the doorbell marked “Innovation 360 Group” and we will let you in. You are then welcome to the 5th floor. 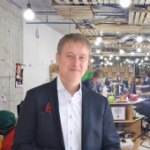 Martin is one of the founders of innovation 360 Group, a Swedish company with international presence that help organizations worldwide to strengthen their innovation capabilities. 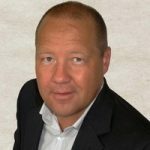 As a management consultant and innovation expert Martin has 25+ years of experience from both public and private sector as well as turn arounds of listed companies.